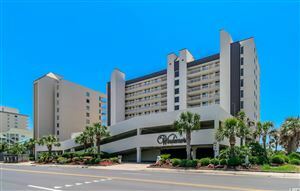 While the Grand Strand area of South Carolina has more than 60 miles of beautiful sparkling beaches and breathtaking scenery, there are communities, like Cherry Grove, that afford propspective property buyers a special treat. Behind the many tourists who visit Cherry Grove each year, is the thriving community that welcomes new residents every year. With all of the exciting venues and attractions nearby, the area moves at a slower pace and will truly gives you and your family a peaceful yet appealing beachfront community in which to reside. At RE/MAX Southern Shores, you will find only knowledgeable and qualified real estate agents who can help you with all your real estate dreams. Local real estate is in high demand, so as primary residence, second-home, or first-time home buyers you'll find coastal living at a reasonable price. All of RE/MAX Southern Shores real estate agents have been in the area for many years and can offer local, first-hand knowledge of real estate trends, neighborhoods, local schools, and activities. So when you want to make your North Myrtle Beach homeownership dream a reality, whether it's a second home owner, or commercial property, or year round residence, please give us a call at 843-839-0200. Dreaming of a slower pace? Great fishing? Marsh and ocean views? Luxury? Come to RE/MAX Southern Shores where our North Myrtle Beach agents can make your dreams come true at family-oriented Cherry Grove! 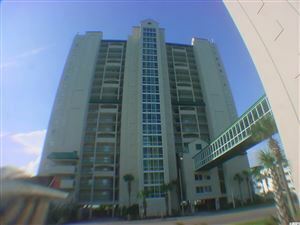 We will find you a home or condo on the beach, on a channel, oceanview and close to a fisherman's paradise. Use the search tool or call RE/MAX Southern Shores at 843-839-0200 to speak with one of our expert agents. 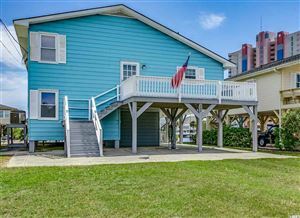 RE/MAX Southern Shores sells Cherry Grove Beach! RE/MAX Southern Shores agents are experts who know and sell properties in Cherry Grove Beach. RE/MAX Southern Shores agents are the #1 selling agents in the entire Grand Strand area so they will be able to find exactly the RIGHT property for you at the RIGHT price. Using the RE/MAX Southern Shores search page you can input specific criteria to search all of North Myrtle Beach or just Cherry Grove Beach to get an idea of the home styles, price ranges, and amenities that are available. Then, call RE/MAX Southern Shores at 843-839-0200 to speak with an agent, licensed in both North and South Carolina, who can find the home, vacation home, investment property, or lot that is RIGHT for you!